How to keep the hooks above the sea bed. Do light and fluo pearls work? Monofilament for longline comes in hanks (or skeins) and not in spools. When monofilament is spooled, it will “spiral” when taken out of the spool. So we have to open the hank without the mess of making a birds nest. This goes for hanks of mono for snoods, and ready longlines with swivels. Commercial fishermen use mostly 130cm length (Hake, Sea bass, Trout, Halibut, Dolphin fish, Croaker, Pollock, Mackerel, Conger) such species is found in the mid-water or 5-10 meter over the sea bed. 130cm is achieved by cutting the whole hank over once. 65cm is used for bottom fish such as Cod, Snapper, Grouper, and Breams. 65cm is achieved when cutting the hank twice. Any other desired lengths for fishes such as large pelagic fishes (normally 8-12 meter length) or custom lengths, the hank have to be opened and each snood measured. Two F-Clamps are mounted on a table with for example 1 meter between, and the mono is taken out of the hank and turned around. When finished, cutting once will give a snood of 2 meter. The hank of longline will most likely end up in a basket (how to make a longline basket) with the snoods knotted to the swivel and the hook fastened on the rim of the basket. The best way to open a hank of monofilament is to use a normal chair with backrest. Cut off the threads around the hank while the hank is laying on a table. Find the start of the line. Start taking out the line, avoiding any loops to get over the top. If the end of the line are pulled out, free it and tie it to a leg of the chair. 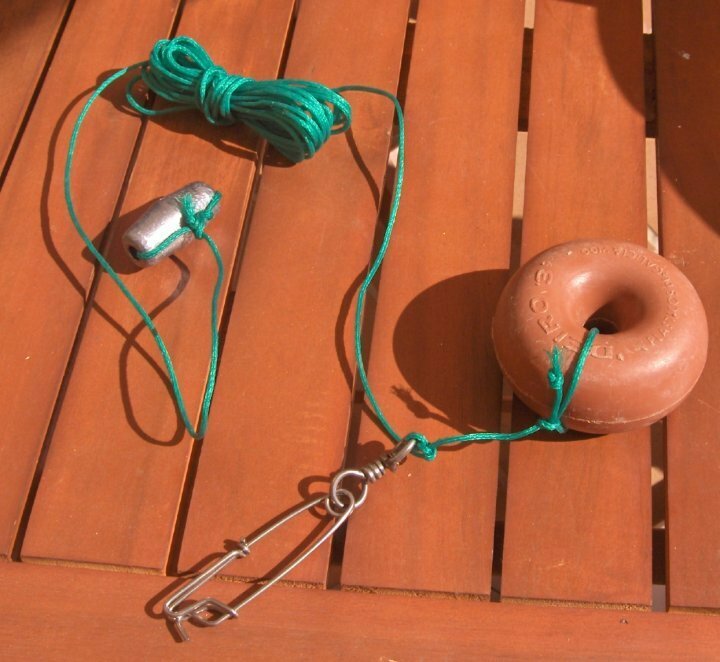 The fishing bait shall be placed where the fish you target swims, on the bottom, mid-water or surface. Baited hooks CAN be on the bottom but only for fish that “grasses” such as flounder and cod. 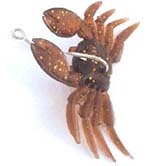 Most likely crabs will finish the bait before the fish comes along. On elevated seabed, rocky bottoms etc. the line can be stretched over the elevations, putting most of the hooks above the sea bed. Artificial lure has to be in free water, they do not fish while on the bottom. On flat bottom it is necessary to use “depth regulators” or “stone / float” that consist of four elements: - a lead ball with hole or a purse seine lead tube, you get those asking the commercial fishermen at the port that fish with seine nets. The lead tubes (sinkers) can be up to 500 gram (more than one lb) each, sufficient for a sinker. Normally 250 gram would do. - 3mm braided Polyethylene thread that is floating, and have a stiff appearance. 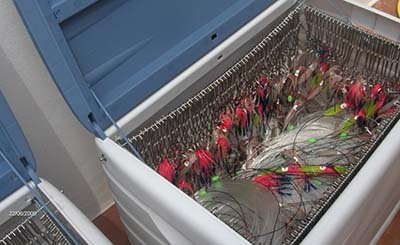 The thread can be 2-10 meter long depending what you are fishing for. 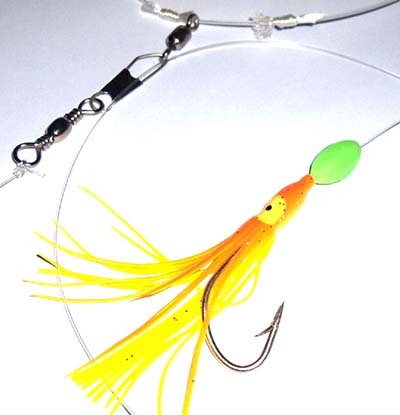 - A float that suits the lead weight, large ring float in PVC that is used for gillnets or a foam float for the small purse seines. The fishermen has always a stock of these, cheap and used will do. - An 80mm snap fixed under the float. The fishing snap is snapped on the line when it goes out. 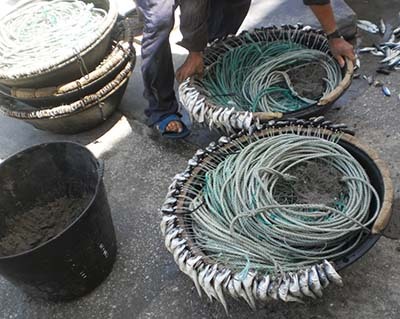 Have the regulators coiled in a separate bucket, and employ them each 50-75 meter to keep the hooks above the sea bed. When hauling the line, the regulators are snapped off the line and coiled back into their bucket. Of course we can sell you those with your order. A longline basket is a round tub with an edge to fasten the hooks, used when the snoods are fastened directly to swivel on the longline. When you use snap-on snoods (with a snap to fasten the snood in a bare /naked line) you store the snoods in a leader box and keep the main line in a tub without rubber edge. They are bulky and cost a lot of money to transport, and can be made where you are. 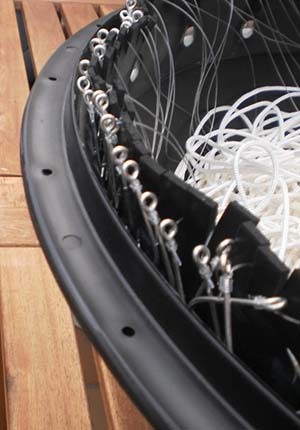 The standard basket is a hard PVC tub 60cm in diameter and 25 cm high. 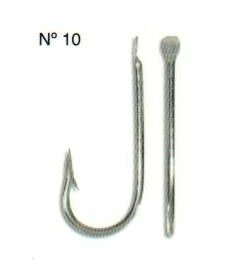 It will hold up to 1000 meter with 1.4mm line and 200 hooks. We sell those baskets, both for artificial bait and for fresh bait. 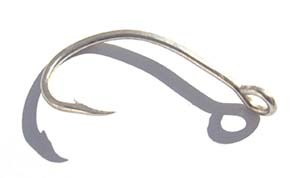 Hooks with artificial bait is fastened into a hard foam rim and the basket can hold 200 hooks. When you use fresh bait, we prefer to sell a rubber edge with slots for the baited hooks to hang outside the basket. Such basket can hold 150 hooks in slots. The best tubs for making yourself are from the pots that the greenhouses use for growing trees and large plants. They come in sizes from 50 liter up to 1000 liter and are made of very strong PVC/PP already with holes in the bottom for drainage and two carry handles at the sides. 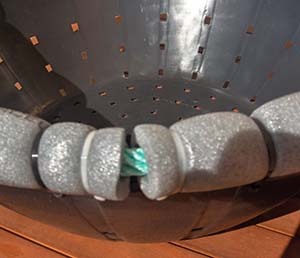 On this tub, you mount a hard foam rod cut in half (the type that the children use on the beach) drilling holes in the side of the tub and fasten the foam rod with straps. If you will use fresh bait, a 0.3-0.5mm thick strip of rubber,10cm high, is glued with super glue to the rim after sanding the PVC and rubber for better grip of the glue. Bolts are mounted each 10-15cm (flat head on the inside to avoid mono hook-up) At last, you use a sharp knife to cut slots in the rubber, 15mm deep and 15mm between each. The snap is snapped on the thread rod. The mono is put into the box. The hook is placed into its proper snap. When shooting the line, you snap of an entire leader (the last one you mounted) drop the hook in the sea and snap on the snap to the main line. When hauling, each snap-on snood is placed back into the box.